It’s that time of year again where NFL mock drafts clutter your Twitter feed, fill up your Facebook timeline and make you scratch your head as you think about what was going on in that person’s head as they made their draft. 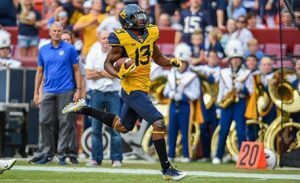 Well, I’ll add on to the head scratching with the final installment of Da Bears Brothers mock drafts prior to the NFL Scouting Combine and free agency. To start, I am going to say that general manager Ryan Pace traded this year’s second-round pick and next year’s to acquire Patriots backup quarterback Jimmy Garoppolo. The Bears are considering every option at trying to find the new face of the franchise and I think this is the best route. Now, behold my Bears’ mock draft. 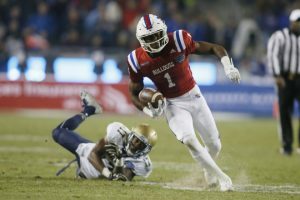 After watching Allen’s tape, I was convinced he should be selected by the Bears with the No. 3 overall pick. He has incredible hand quickness that allows him to keep offensive linemen away from his body, which frees him up to locate the ball carrier. If he is matched up one-on-one, there is a good chance Allen is going to find his way into the backfield to either sack the opposing quarterback or make a tackle for loss on a running back. At 6-foot-3, 291-pounds he can lineup at nose tackle, but has the speed to line up at the end. 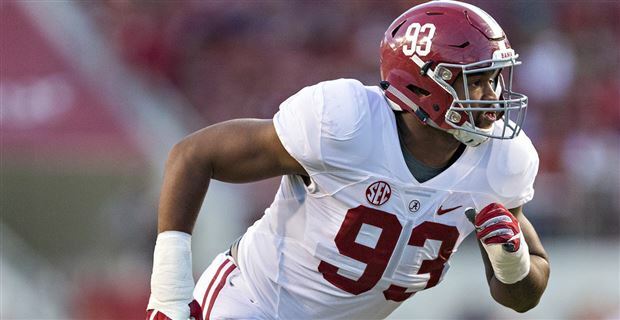 There isn’t anything the standout from Alabama can’t do. He is the missing piece to completing the Bears’ front seven, and with him, the team will make more strides into becoming a top defense in the league. The Arlington Heights native obviously isn’t a second-round pick in this year’s draft, but he was back in 2014. 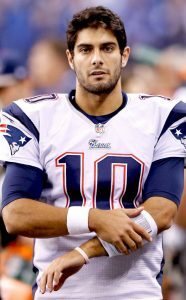 Garoppolo, even though he has a small sample size of work is a guy who is waiting to get his opportunity to be a legit starting quarterback in the league. In his six quarters of play last season he threw for 496 yards, four touchdowns and had a completion percentage of 71 percent. He showed that he is capable of reading defenses, has a quick release and is capable of winning games. He also comes from an organization that is in contention to compete for a Super Bowl each season and Pace has expressed his interest in bringing in guys from winning locker rooms. The Bears need new life at quarterback and Garoppolo can be the one to bring that resurgence. Here is a guy that was coached by Bears’ head coach John Fox on the North Team at the Senior Bowl. 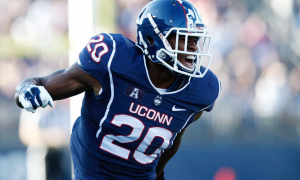 Melifonwu has been projected to either go somewhere in the second round or late in the third round. He is a great tackler and knows how to take the right angles to get to the ball carrier. At 6-foot-4, 219-pounds he is taller than most safeties and usually that height results in bad footwork. That’s not the case with Melifonwu, his issue is that he reacts to plays after they have been made, instead of going and making them. For instance, I noticed multiple times that he allowed a receiver to catch the ball, but he had an opportunity to swat it away or jump the route for a possible interception. Once he has been coached on how to better read offenses and learn route tree combinations, the playmaking will come. Douglas is a player that can be added to the Bears secondary to create some competition at the corner spot opposite of Tracy Porter. In his senior year at West Virginia, he had eight interceptions, which tied Florida State’s Tarvarus McFadden for the most in college football. At 6-foot-2, he has good length that will allow him to compete with some of the taller receivers in the league. Despite his ability to cause turnovers and having good height, Douglas is not the best tackler. At times he looked hesitant to make a tackle and has a tendency to take bad angles to the ball carrier. He also doesn’t have the speed to keep up with some of the faster receivers in the league. Still, he would be a good asset to a team that needs all the help they can get in the secondary. The inside of the Bears offensive line is their strength, but when you look at starting tackles Charles Leno Jr. and Bobbie Massie that is where improvement can be made. 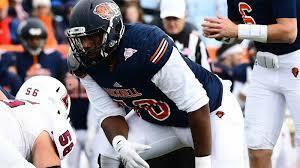 Davenport is listed at 6-foot-6, 310-pounds and has 35-plus-inch arms. The big man doesn’t just have size he also is athletic, with having a history of playing basketball. His cousin is Charlotte Hornets forward Michael Kidd-Gilchrist, safe to say that playing sports runs in the family. But playing at Bucknell isn’t even close to the competition he will face in the NFL. Still, he has the size and athletic ability to develop into a player who can possibly see some playing time down the road. With the news that just came out yesterday about the Bears opting not to franchise tag Alshon Jeffery, it’s time to look for some guys who can help replace his production. Henderson last season caught 82 passes for 1,535 yards and had 19 touchdowns. 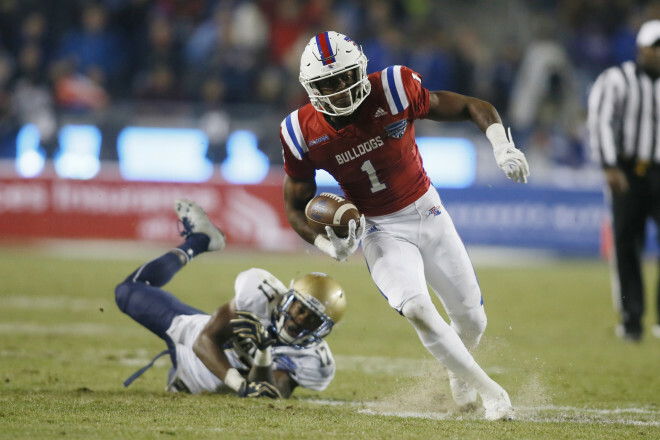 He is listed at 5-foot-11 and primarily played wide receiver at Louisiana Tech, but I seem him moving into the slot in the NFL. Henderson has great hands, is a polished route runner and even lined up in the backfield last season for the Bulldogs. He was also a kick returner and had 805 yards on 25 returns, which was the 12th most in college football. He is a versatile player and I believe is going to be a steal in this draft. Going to the University of Iowa, I had to find some way of the Bears drafting a Hawkeye. But I’m not just doing this for my own pleasure because Kittle is a guy who I think can make an NFL roster. In his senior season, he had 22 receptions for 314 yards and four touchdowns. He has great hands with only one drop out of 48 catches. And even though he is only 6-foot-4, 250-pounds, similar in size to starting Bears’ tight end Zach Miller, he blocks like he is a 300-pound linemen. Kittle is relentless on every play and given an opportunity to play in the NFL he will make the most of it. Would be nice if the draft fell this way. Covers the big holes on our roster. I just don’t see any other #3 than Allen. I think safety will be addressed in FA, and for the value and talent, we can’t go anywhere else but Allen. I would not be surprised to see a trade or maybe even 2 in the second round, as Pace as done this very well in the past and we do not have 6th round pick as of yet. With as many holes on this roster as there are, Pace will try and collect an extra pick or 2 to help fill them and add depth. So here ya go..
Let me know what ya think!! !